CROM! Conan the Barbarian is back! Wait a second…did you just picture Arnold Schwarzenegger?! Stop that. Seriously, stop that! I’m here to talk about the real Conan, the aforementioned Cimmerian who wore sandals while juggling his gigantic melancholies and mirth! As announced earlier this year, the mighty barbarian hero makes his triumphant return to Marvel in 2019. I have been a longtime Conan fan. While I certainly consider myself a Robert E. Howard purist, avoiding nearly all other pastiches, I love the Conan comic books with a passion. Certainly, Dark Horse has done an amazing job with the property. That doesn’t mean that I’m not excited to see the sullen Cimmerian return home to Marvel. 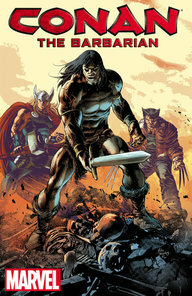 From 1970 until 2000, Marvel produced well over six hundred issues of Conan, exploring nearly every corner of the character’s history (including a few stellar What If issues). I’m nearing completion of my own original Conan comic book run (less than 40 issues to go), recently having purchased a simply beautiful copy of the first issue in January. It is the crown jewel of my collection, and a culmination of nearly twenty-five years of collecting Conan comics! With so much excitement over the return to Marvel of one of my favorite heroes of fiction, I thought I would share my hope for the new Conan book (or books?) for 2019. Much like Star Wars return to Marvel, I have high expectations for Conan’s homecoming. If Marvel plays this right, fans could witness a new golden age for Conan. 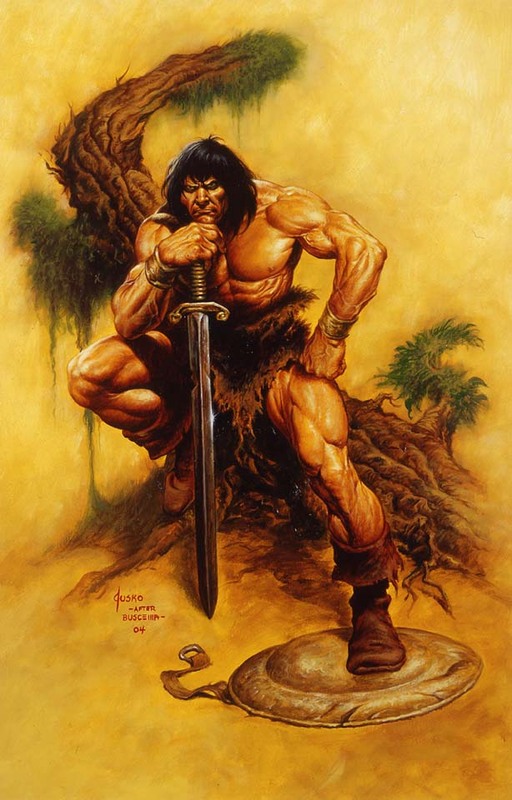 Using Star Wars as a template, I hope Marvel can keep the feel of Conan as close to the original vision made by Robert E. Howard, while at the same time giving it a fresh take. Marvel has done a superlative job with the Star Wars property since it obtained the rights back from, ironically enough, Dark Horse in 2015. Having previously held the rights to Star Wars from 1977 until 1986, Dark Horse had been the standard bearer for the brand from 1991 until 2014. Dark Horse did a stellar job with the Star Wars property in that, producing several high caliber books. But they all weren’t winners, and Dark Horse widely expanded the canon of the universe, exploring topics as varied as the beginning of the Jedi to a couple of hundred years after the end of Return of the Jedi (take that, sequel trilogy!). The diversity in comic books and era gave nerds like me plenty to read and digest over the years, but it certainly diluted the core feeling of Star Wars. With the return to Marvel, the books stayed almost exclusively focused on the original trilogy era for its first couple of years. In fact, most of the books didn’t stray beyond the weeks and months after A New Hope. The books explored familiar ground, but Disney wiped the sluggish old continuity from existence, freeing the writers to bring a feel of excitement to the time period while staying true to the elements that make Star Wars work. Marvel has made the Star Wars books at least feel like Star Wars, not some campy fan-fiction that a lot of Dark Horse books came off as being presented. How does Marvel accomplish that with Conan? Much like Dark Horse did with the Cimmerian, Marvel should stick closely to the original Robert E. Howard vision of the character. Howard created Conan in 1932, and over the next several years, he had many “yarns” published in the venerable Weird Tales, along with other beloved pulpy writers such as H.P. Lovecraft and Robert Bloch. Dark Horse wisely gave creators the marching orders to follow Howard’s vision of the character rather than rehashing the muscled, walking steroid of the revived Conan pastiches of L. Sprague de Camp and Bjorn Nyberg of the 1950s and 1960s and the later Arnie films of the 80s. Sticking close to Howard and giving creators the ability to write new tales in that vein will serve them well if they want to make Conan a hit again. Readers don’t need rehashes of the old stories. Those have been done several times now and are easily accessible in a variety of collections. Keeping Conan close to the heart of where Howard presented him is key to making Conan feel relevant in the 21st Century. Keeping Conan fresh is certainly a primary goal, but Marvel would be foolish to not lean into the nostalgia of the moment. Again, Marvel can look at their treatment of Star Wars property as a template for how to proceed. In sticking so closely to the original trilogy in nearly all forms of media outside the creation of the sequel trilogy, Disney has definitely shown a preference for that era of Star Wars over the much more dubiously “beloved” prequel era. I’m not personally dumping on the prequels. I’m one of five prequel apologists currently living (three out of the five are NoE stalwarts)! However, I would be lying if I didn’t think that Disney, and Marvel by extension, haven’t been smart in focusing on what a majority of the fans want. And what do fans of Conan want to see? They want to see big muscles, epic fights, eldritch locations, buxom babes in distress (potentially chained? 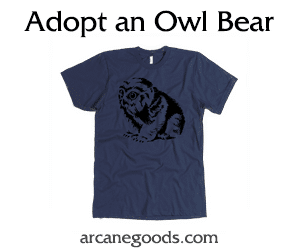 ), and arcane magic that gives the title characters the willies. Conan can be cerebral, but his adventures are squarely about feats of pulpy derring-do. Marvel would also do well to bring in some classic Conan creators into the mix. Bringing back someone like Roy Thomas, who should receive the lionshare of the credit for bringing Conan the success he had at Marvel originally, would be a fun trip down memory lane that would surely bring in old school fans like me. As proven by 2010’s Road of Kings twelve-issue miniseries, Thomas still has the writing chops to take on Conan. They should also bring in fellow REH Conan purist Tim Truman. His work over the years at Dark Horse should be seen as the kind of arrangement Marvel should take if they want to bring respect to Howard’s work by letting someone learned in the history of the character take him into uncharted waters. Please, Please, Please Let Jason Aaron Write Conan. Please. This seems to be a no-brainer: get Jason Aaron to write Conan. Nuff said. Right? Well, I can’t just leave it at “nuff said.” Jason Aaron also helmed the return of Star Wars to Marvel, so he’s got experience in bringing big ticket franchises back into the House of Mouse. Jason Aaron has proven himself an amazing writer that would certainly bring his rock star status in the field. His name on the book almost guarantees an immediate hit for Marvel. On top of his already amazing résumé as a creator, Aaron actually wrote the best Conan series in the last several years. No, it’s not an official Conan story, but it hits all the rough and gory themes anyone would ever want from a Conan story. Jason Aaron describes The Goddamned as biblical noir. The story follows the character Cain (yes, that Cain), as he travels around the hellish landscape of God’s creation before the great flood that would purge away mankind’s barbaric sins. The book looks, feels, and maybe even smells like a Conan book. The violence and decay of the world Aaron (or God) created reminds me fondly of a Cormac McCarthy novel. 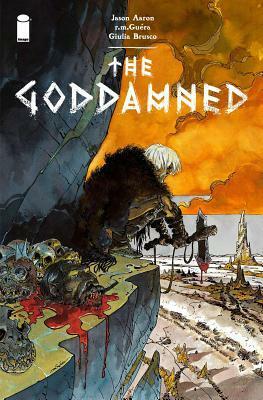 Moody and atmospheric, The Goddamned reads like a Conan story that is perfect for a 21st Century revision of the Conan character. Despite the fact that Aaron writes approximately 82 books per month, I think Marvel would be wise to tap him for Conan. Though not as well known as the Star Wars property, Marvel has the opportunity to launch Conan in to the stratosphere of A-List comic stardom. They did it once before in the 1970s! The Conan revival of the 70s and 80s is in large part due to the success of the original Conan Marvel comic book. 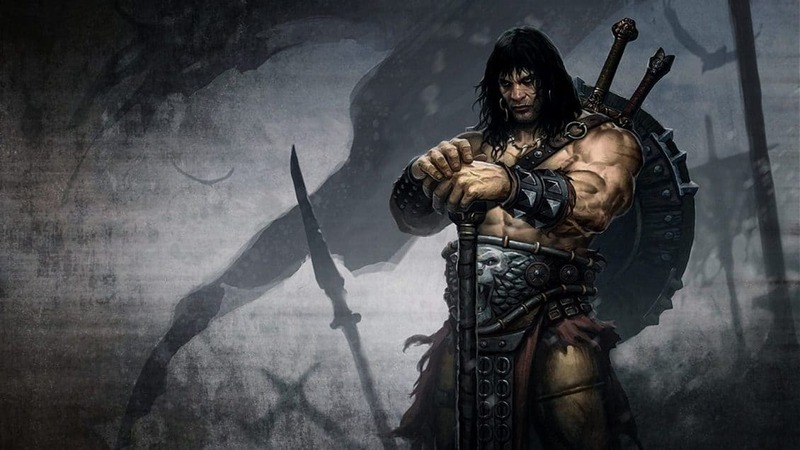 If history really does repeat itself, and Crom willing, Marvel has all of the right ingredients to establish Conan as a premier property in the Disney/Marvel ecosystem.